Augusta, Georgia, is a small city with about 200,000 year-round residents. But for the second week of April every year, it becomes the center of the sports universe. Wealthy golfers descend upon the town from around the world. They want quality accommodations. But the nearest Ritz-Carlton is a looong drive away (81 miles, to be exact -- you don't even want to know what par that is). Now, ordinarily the IRS would take a big divot out of that $40,000 windfall. (Pro golfers typically tip their caddies 10% of their winnings, and if you think that's enough for Uncle Sam, think again!) But here's where the Augusta rule comes in. Code Section 280(A)(g)(2) provides that if you rent your home (or vacation home) for less than 15 days a year, there's no tax due on that income. In fact, IRS Publication 527 says you shouldn't even report it. So, if you have a house in Augusta, you've got that going for you! Which is nice. Don't have a house in Augusta? Don't despair! Let's say you own your own business, and you want to host a customer appreciation event. You could hold it at your house and deduct the cost of meals and entertainment you provide for your customers. But the Augusta rule also lets you rent your home to your business — for a commercially reasonable "fair market value," of course. Your business will deduct the rent it pays, which gives you a birdie on your tax bill. But so long as you don't do it more than 14 days per year, you won't have to report the income on your personal return. Pretty slick, right? If you're a golfer, you've almost certainly dreamed of someday playing Augusta. But you wouldn't dream of doing it without an experienced caddy — because, when you sign that scorecard, you want as few strokes as possible. When it comes to taxes, that's our job. We give you the plan you need, so that when you sign your 1040 . . . well, you get the picture. 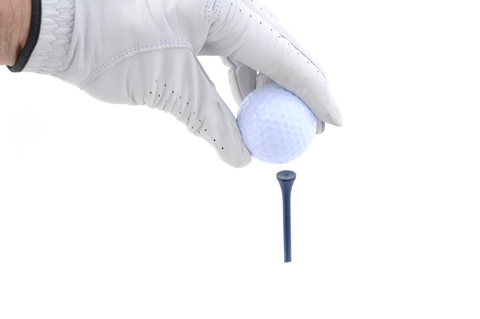 So call us before you "hit the course." And remember, we're here for the rest of your foursome as well!